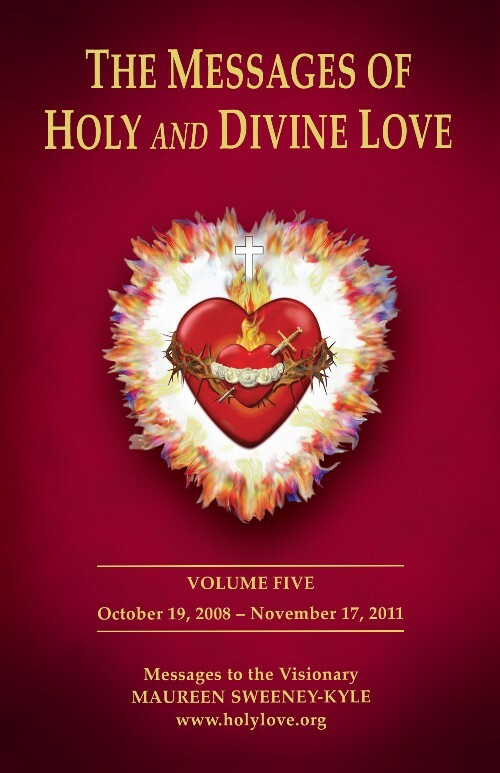 Book: The Messages of Holy and Divine Love Volume 5. 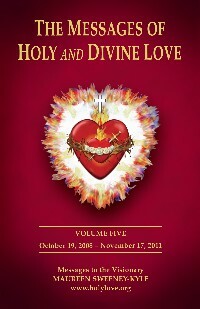 This fifth volume of The Messages of Holy & Divine Love covers the period from October 19, 2008 to November 17, 2011. Topics include: the Baptism of Truth; the Ministry Complex Building Project at Maranatha; St. Joseph on Families; St. Peter on Temptation; St. Augustine of Hippo on Conversion; St. Rita of Cascia on Perseverance; St. Teresa of Avila on Hope; St. Therese of Lisieux on Humility; and much more.